Billie Louise What a fantastic driving instructor! If there was anyone that wasn't meant to drive it was certainly me, thanks to Nigel I passed today! Would recommend him to anyone, very calm,collected and professional! Thanks again Nigel! Ian Potts Thanks for getting through my driving test. Would recommend Nigel to anyone looking to learn, he's a good teacher, uses visual examples to make things easy to understand and is a friendly guy who makes learning enjoyable. Gave me the confidence to pass my test in 3 months with no minor faults, great value for money! Thanks again! Kev Marshall Passed my driving test today with 3 minor faults! Would highly recommend Nigel Flather and calderdale school of motoring. Paul Holroyd posted to Calderdale School of Motoring - Happy to recommend Nigel and Calderdale School of Motoring. Did a crash course, 1 week, and passed first time with 0 minor faults! Excellent value for money. 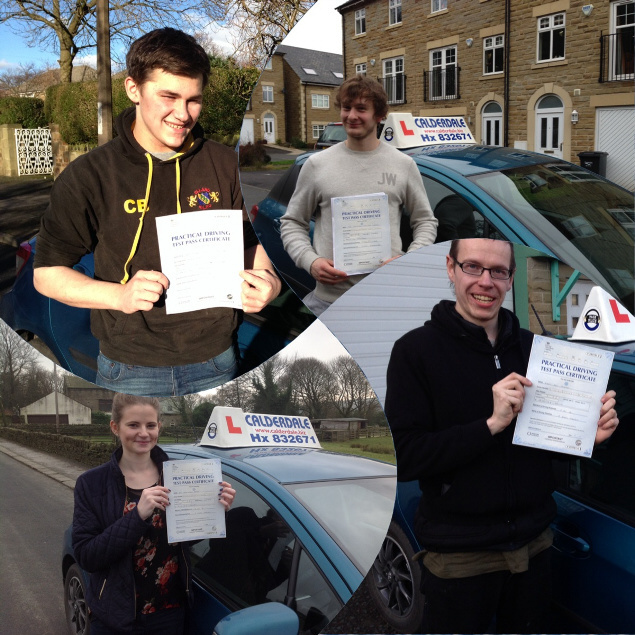 Matty Moorhouse posted to Calderdale School of Motoring - Got Through my Driving Test a Breeze! Nigel is more than Recommendable to Anyone, Friendly guy too! More than worth the money ! Kieran Davies posted to Calderdale School of Motoring - Just passed my test. I'd recommend Nigel to anyone, he's friendly and knows his stuff. Well worth the money. Marc Smith posted to Calderdale School of Motoring - A* Tuition ! Rachel Emma Cole - If anyone needs a driving instructor I really recommend Nigel (calderdale school of motoring) :)— withNigel Flather.